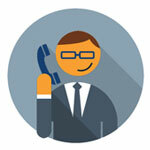 Your business phone system and other communication systems are a necessity. Equiinet’s all-in-one phone system and managed network security services, are the high quality services that keep you connected to your clients, all while saving money. Your potential clients do not always search for real estate during typical business hours. However, it is vital that real estate agents are available at any time. In real estate buyers move quickly, and if you can't answer the phone right away, a potential customer may look for another agent. Equiinet features will help you win every possible sale. Equiinet's phone service comes with 20 features included plus unlimited local and long-distance calls. 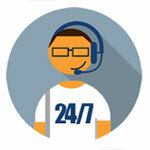 This means you can stay in touch with your global clients and maintain consistent availability to all your customers. We provide everything your real estate business could need in one low all-inclusive monthly charge. Equiinet enables your real estate business to succeed by offering a comprehensive phone system, complete with firewall security, on-site backup, virtual fax, and more. Improve your real estate company communication and increase your sales with Equiinet. Schedule a free consultation and let us help you customize the best solution for your business. Learn more about Equiinet, the highest quality telephone system and VoIP provider in the industry!